This week saw the release of Swallows and Amazons on Blu-ray and DVD. 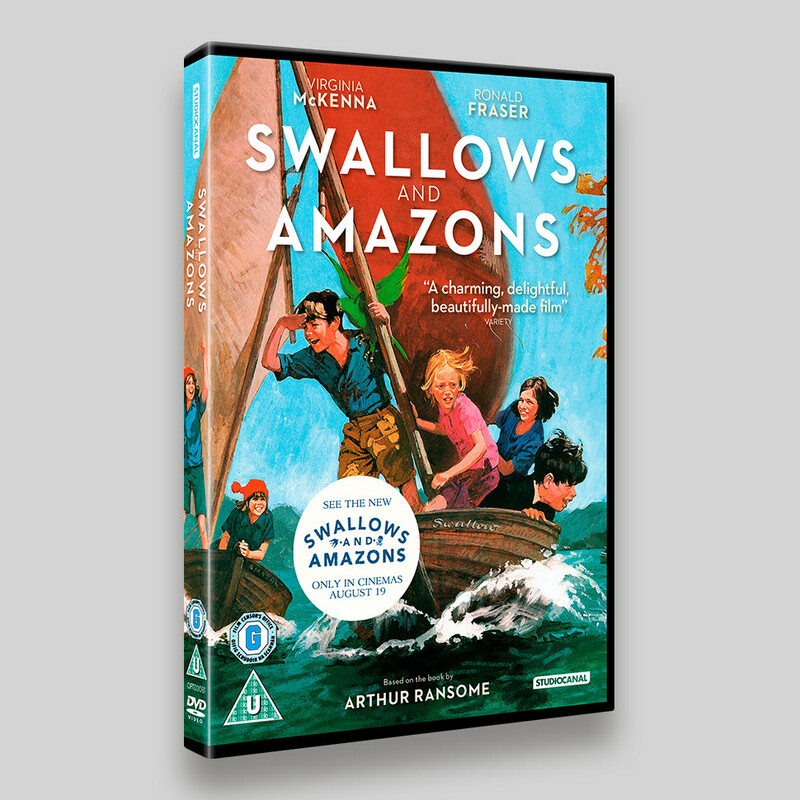 An enchanting new take on the beloved novel by Arthur Ransome, Swallows and Amazons tells the story of the Walker children, whose summer holiday in the Lake District sees them sailing out on their own to a local island, only to find themselves in a competition with a rival group of children who call themselves the Amazons and ultimately an adventure far bigger than they could have imagined. With a great British cast including Rafe Spall, Andrew Scott and Kelly Macdonald, prepare to be delighted and enchanted by this wonderful tale for the whole family. The artwork is based on one of the many theatrical posters. In fact I don’t think I’ve worked on another title that I’ve been supplied with so many posters. There were an number of alternatives we looked at, the Swallows and Amazons in their boats, Swallows in front, Amazons behind, Amazons in front Swallows behind, but in the end the main theatrical artwork was used. The finished O-ring designs features an embossed title treatment on silverboard. I had previously worked on the Digitally Restored 40th Anniversary Edition in 2014 (see my post here), so it was interesting working on the new adaptation. To coincide with the theatrical release earlier on this year, a DVD version of the original 1974 release was updated. Using the original poster full bleed and boosting the colours (as well as retouching and adding more of the sail, sky and water) the sleeve featured a sticker promoting the new version of the film.